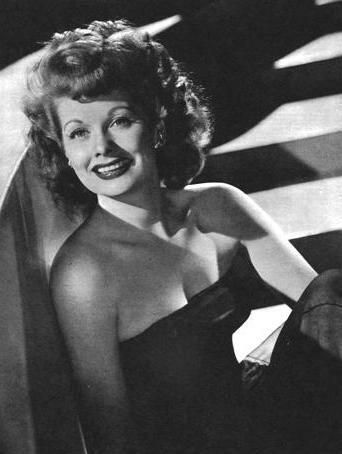 Lucille Ball would have been 101 years old today. This morning, my daughter and I watched a few episodes of I Love Lucy on television today as usual (thank you Hallmark Channel), as she got ready for summer school. My husband joined us for one show today. I have my mom to thank for my love of Lucy. She’s a long time fan as well. Tuned me into it when I was quite wee and to this day, each year for her birthday, my family and I try to find some type of Lucy memorabilia for her. (She loves adores I Love Lucy handbag!) Thinking about this little ritual with my daughter some mornings, looks like I’m passing down the same devotion. 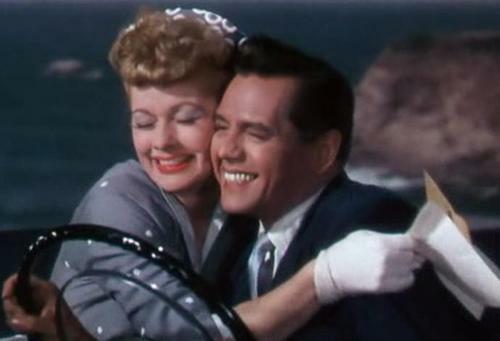 Well, since this is primarily a classic movie blog, one of my faves, Vincente Minelli’s The Long, Long Trailer (1954) comes to mind, starring Lucy and her husband, Desi Arnaz. By the time they filmed this, audiences were familiar with their scope in comedy, thanks to I Love Lucy. Along with breathtaking scenes of Yosemite National Park and heartstopping moments there in that humongous trailer and little car, Lucy and Desi took their talents back to the big screen together, since Too Many Girls (1940) to give us some hilarious screwball moments, simply because Lucy (as Tacy here) was hellbent on taking a cross-country trek in a travel trailer for their honeymoon! From there, the hilarity ensues. I’ve also also enjoyed The Facts of Life (1960) featuring Lucy paired up with Bob Hope. A story about struggling couples, it’s a film more bittersweet to watch since it was filmed right around the time she and Desi had split up. Yours, Mine, and Ours (1968), starring Lucy with Henry Fonda, is a family favorite around our home, too. My husband always gets tickled when the youngest just can’t seem to get a hold of that plate being passed around at dinner time! Says he remembers that happening from time to time with his brother as they were growing up!